The Town of Glade Spring was laid out in 1794. The Lee County Historical Society promotes the study and preservation of the history of Lee County. 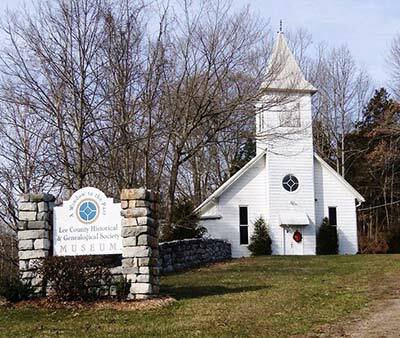 Located in the Old Friendship Baptist Church Building approximately 4 miles west of the county seat at Jonesville, the society’s records can be used by appointment. The nearby Jonesville Methodist Campground was established in 1810 for outdoor revival meetings. Campgrounds were founded across the region as part of a widespread growth in religious fervor. The well-preserved auditorium was opened in 1828. Rocky Mount was designated as the seat of Franklin County, Virginia, when the county was formed in 1786. The first court sessions were held in the home of James Callaway, the proprietor of the 1770 Washington Iron Furnace. A log courthouse was built at the intersection of Court and Main streets in the same year. The Franklin County Historical Society operates a history museum and research library for family history research. Franklin County court, probate, and land records, also available at the nearby Franklin County Courthouse, are an important source for family historians. The Tazewell County Public Library’s Virginia Room, located in the Tazewell Historic District, is intended to help visitors discover their family history in this region. The Virginia Room includes about 1500 volumes of published history, biography, records of the census, births, marriages, land transactions, tax assessments, wills, deaths, and cemeteries, newspapers, maps and gazetteers, as well as how-to guides to research. The Wise County Historical Society maintains an office and bookstore open daily to assist family history researchers. They have an extensive collection of research materials. The town of Christiansburg was laid out around a central public square as the Montgomery County seat in 1790. 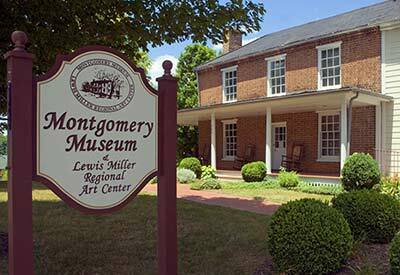 Christiansburg’s Montgomery Museum houses a wealth of artifacts related to regional history and local artists, as well as family history research opportunities. The museum building was built around 1852 to serve as the Manse or minister’s residence for the Christiansburg Presbyterian Church. Ever-changing exhibits, presenting local artists, are displayed in the second-floor gallery. The museum shop features local history books, reproductions, and gifts. Washington County was formed in 1776. The town of Abingdon has served as Washington County’s transportation, commercial, and political hub since it was laid out in 1778. Its location on the Great Road and later the Southwestern Turnpike brought prosperity. The Historical Society of Washington County is housed in the restored Abingdon Train Depot. The Society is available for genealogical and historical research, including local and regional history, published genealogies, and family histories. Many of the settlers to the Augusta County area were Scots-Irish. A small village grew up around the county’s first log courthouse, built in 1745. The newly named town of Staunton was laid out in thirteen half-acre lots in 1749. The R. R. Smith Center is housed in the former Eakleton Hotel of 1893. In addition to the offices of the Historic Staunton Foundation and the Staunton Augusta Art Center, it is the home of the Augusta County Historical Society history gallery and library, an excellent place to begin local family research.